Nope, no sir, we disapprove, and we're not working the post! This is a formal protest. The other hoomin cleaned up our room - again (they are all our rooms). Where's our binky rug? You're late with the saaaalad - again (we're still waiting for out fennel). How about you do something for the site, you know. 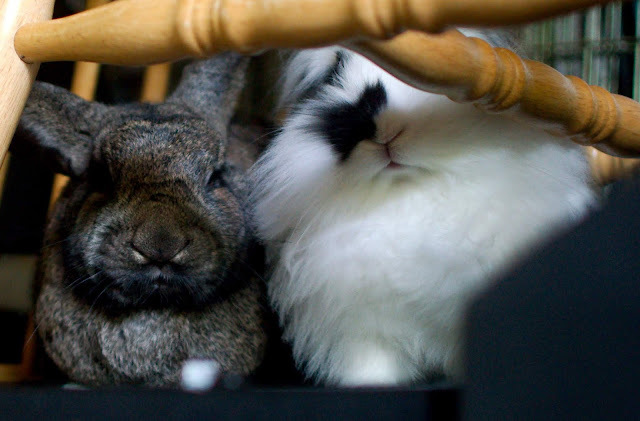 Maybe say "Hi" to our friends on BunSpace or something, eh? Right, I thought so, go back to your books then. 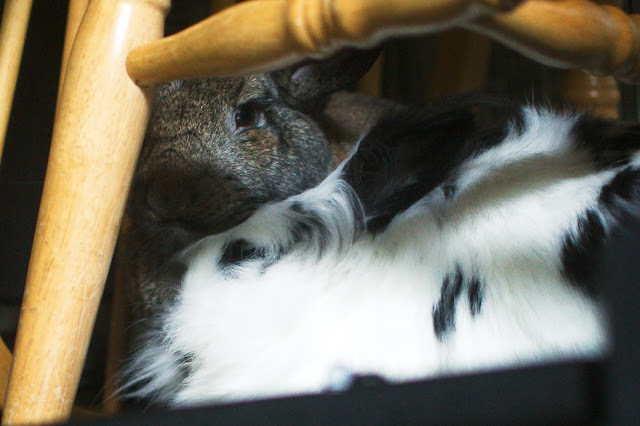 Boy, they were just not having any tolerance for the paparazzi...hope there won't be any tabloids with them ducking away from flashbulbs with headlines reading, "Grumpy Buns Bothered By Hoomin Bite Ankles!"